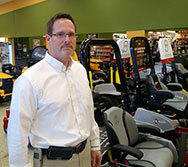 Bill Shallman is the Store Manager at the Weingartz Cedar Springs Store. 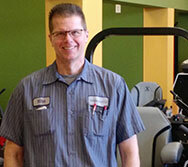 Bill joined Weingartz in 2009 as a salesman and has been managing the Cedar Springs location since August of 2010. The sales team at our Cedar Springs store has numerous years combined experience in Outdoor Equipment sales. Bill and his extremely knowledgeable and highly trained sales team strive to provide you, our customers, with superior customer service before and after the sale. Bill’s sales and support team wants Weingartz to be your first choice for purchasing and servicing your tractor, lawnmower, snowblower or any outdoor power equipment. Please contact Bill at 616-696-2913 or Email Bill . Mike Winters, Service Manager at the Weingartz Cedar Springs location, has been a Service Technician in the industry for over 30 years. Mike joined Weingartz as a Service Manager in August of 2012. Mike and his staff of full time Service Technicians know the importance of getting your equipment up and running as quickly as possible. He and his team strive to provide you with the highest level of expertise and customer service in the industry. Please contact Mike at 616-696-2913 or Email Mike . Equipment Brands Available: Bearcat, Billy Goat, Brown, Briggs, Brinly, Cub Cadet, Exmark, Green Touch, Honda, Integrity, Kawasaki, Kohler, Little Wonder, Mantis, McLane, Mi-T-M, Ohio Steel, Redmax, Stihl, Toro, Toro Dingo, Trac Vac, Truckcraft, TurfEx, Worx, Yanmar and Boss and Snow Sport in Late Fall and Winter. Parts & Service Available for: Bearcat, BedShaper, Billy Goat, Boss, Bradco/McMillen/Themajo, Brinly Hardy, Broyhill, Buyers, Cub Cadet, Curtis, Earthway, Echo, Exmark, Green Touch, Harley Rake, Honda, Jodale Perry, JRCO, Jungle Wheel, Kubota, Landpride, Lawnboy, Little Wonder, McLane, MI-T-M, MTD, Parker, RedMax, Ryan, Shindiawa, SnowEx, Spraying Devices, Stihl, Sweepster, Tanaka, Toro Dingo, Toro, TracVac, Trenchmaster, Troy Bilt, Truckcraft, Wacker, Yanmar. 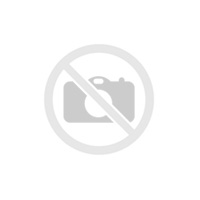 General Information on Store: In the 1990's, golf courses became an increasingly important customer group for our business. Many of the courses in western and northern Michigan wanted some place closer to have their service done so we decided to open up a service facility in Cedar Springs. This location, better known by locals as Cedar Rock, between Cedar Springs and Rockford, had easy access to freeways, making it accessible from many areas. Keith Kukuk had worked in the Utica store for over 25 years at the time (over 40 years now) and agreed to move to the west side of the state to get this location started. Once we were there, we realized that not only were the golf courses looking for a location in this area, but our traditional core customers, landscapers and homeowners, were also open to doing business with us. To better serve those customers we remodeled our location to replicate the model that we were using in Utica and Farmington Hills. We found that the greater Grand Rapids area welcomed us and that our brand of personal service has fit very well with the culture in the area. We hope to continue to grow our business on the west side of Michigan.